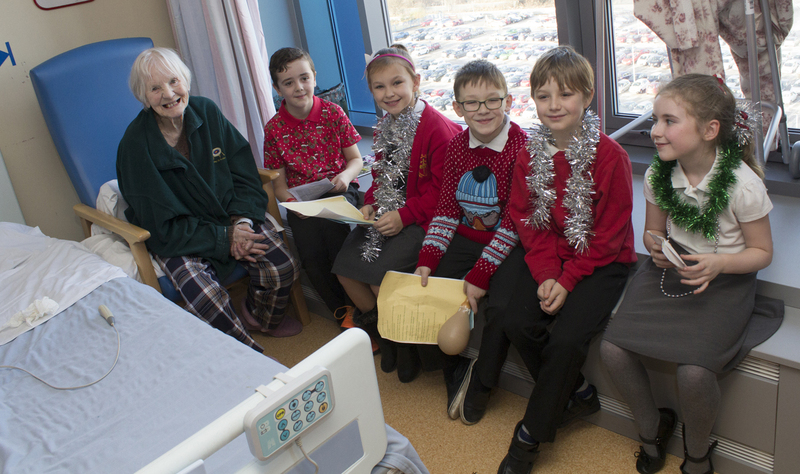 Elderly patients got some early festive cheer today when primary school pupils visited Hull Royal Infirmary. Year 4 pupils from Biggin Hill Primary Academy in Bransholme visited Ward 80 which cares for people with dementia who are ready to be discharged from hospital. 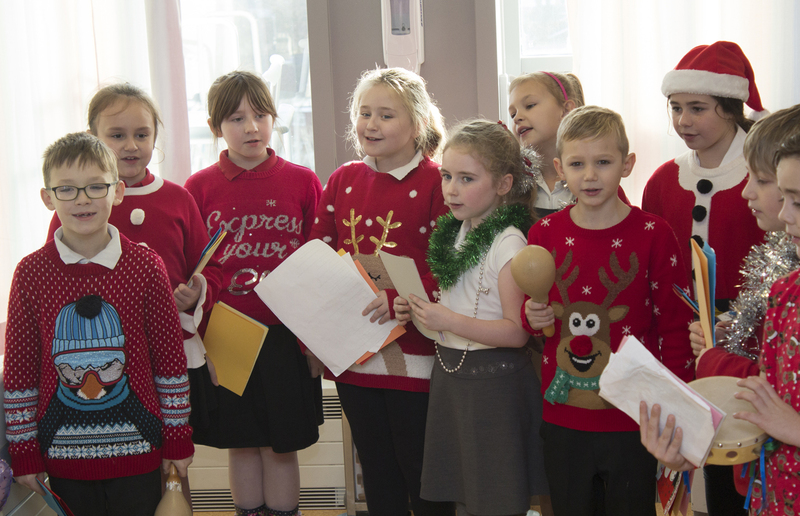 The children, aged eight and nine, went into four bays handing out Christmas cards, telling jokes and singing We Wish You A Merry Christmas to patients. The children, accompanied by teacher Catherine Simpson and teaching assistant Sonya Wright, were brought to the hospital after Beerhouse Self Drive provided a minibus, free of charge. Dr Fiona Thomson, Consultant in Elderly Medicine, met the children when they arrived on the ward to explain most of the patients were 85, some struggled with their hearing or memories, but all were looking forward to seeing them. 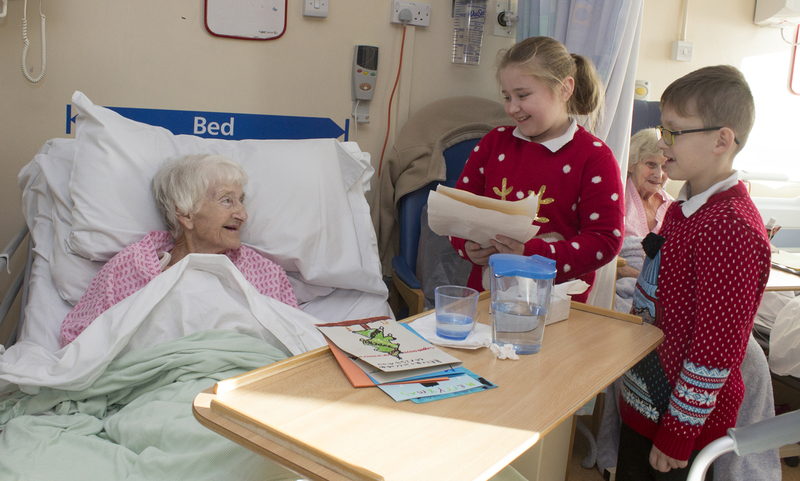 The children then went on a tour of the wards, handing out their Christmas cards to patients and entertaining them with jokes, poems and songs. Retired teacher Mary Muncie, who taught at Wansbeck Primary, put in a special request for Away In A Manger and was treated to an impromptu and unrehearsed rendition.